I'm not gonna lie, when I read I pretend I'm the main character. I love it when the writing is so good I actually feel like I'm in the their place. Here are some characters I wish I could trade places with--at least for 24 hrs! Why? 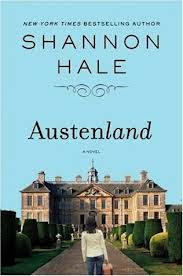 Jane from Austenland gets to dress up! Hello!! She also gets to kiss Mr. Nobley and I'm still dreaming about him. Why? Anna from Anna and the French Kiss gets to live in Paris. Paris people! What more do you want?! OK then, she gets Ettiene too! 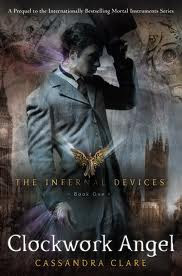 Why Tessa from Clockwork Angel? Let me think...Victorian dresses, hot boys, and a secret power! I'm so game!! Why? Ella from Ella Enchanted is the new Cinderella. This is a fairytale to rival the best! I wouldn't mind being her. She also gets the prince. Every girls dream! Why? Alexandra from The Gable Faces East is probably the one person I'd trade lives with. Period. If I could live in this book forever, then I'd do it! Why? Oh come on! Don't tell me you haven't wanted to go to Hogwarts. I personally want to eat myself silly on all the goodies. Maybe take a ride or two on a broomstick and I wouldn't mind using Dumbledore's Pensive to weed out some of my thoughts before I leave. Why? Marian from Marian's Christmas Wish gets herself into so many crazy situations! She also falls in love with an English Lord. Yes please. I'll take one of those. This was a great Christmas story and I can't wait to read it again this season. Why? Pepper Spicer from Not My Type has probably the coolest name I've ever heard. I also love her job and Tanner keeps her on her toes. I think we all need somebody like that. This is such a me book! Why? Belly from The Summer I Turned Pretty has friends with a beach house. Need I say more? Why? 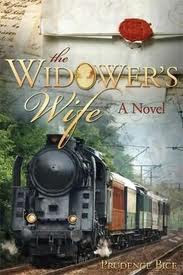 Jillian from The Widower's Wife lives in my favorite time period and place. I love this love story so much. I'd want to switch places with her for more than 24 hrs! *Click on the picture for my review! Ohh Ella from Ella Enchanted is such a fantastic choice! 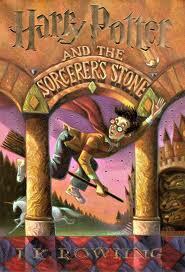 I remember loving her when I first read that book, she's so strong and good. It'd be tons of fun to go through the forest for a day with the prince and his company, too. Yay for including Harry Potter. I've seen that a lot of people have included Anna from Anna & The French Kiss. I have yet to read that book...I've heard good things about it though! 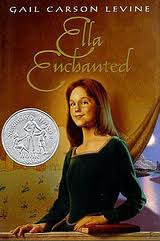 Ohh and you included Ella Enchanted :). I haven't read that one either, but I did see the movie. I think the book is supposed to be different though. Great List! Thank you for stopping by my blog :). Ella would be fun! And I do love happy endings! I honestly can't imagine anyone not wanting to go to Hogwarts. And if I DID meet someone who couldn't see the appeal, I'd run in the opposite direction. 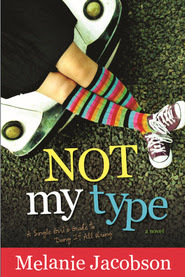 Not My Type sounds like a cool book... I've never heard of it, but now I'm gonna look into it thanks!! Anna is a very popular answer this week! Love the rest of your list too especially Ella. I can't believe I forgot about her! I used to have friends with a beach house... oh my did that bring back some awesome memories! Will have to read that one for sure..